Like a taxi pulling right up to your house or apartment, wouldn’t it be nice if a door to door auto transport service knocked on your door to let you know that they are waiting outside? In that scenario, you could even stay in your pajamas and slippers, pause your favorite show for thirty minutes, while you hand over your vehicle keys to the nice car transport driver. Then say with a wave, “thanks so much”, and expect him to do the exact same thing upon delivery in a few days. But in reality, door to door auto transport does not happen that way. What Does Door To Door Car Service Mean? What does happen is that an auto transport carrier is supposed to get as close as possible to your door, and that can mean within a mile or two of your house or apartment. It is rarely farther, but sometimes that also makes sense. You see, a car carrier is huge. It’s a big truck, not a small taxi. Most auto transporters carry five to ten vehicles and require extra space to turn around or maneuver. They can’t do that on most residential streets and might be legally forbidden regardless. What Is The Car Transporter Worried About? Aside from getting pinned into a small space to turn around, the car transporter is also wary of low hanging tree branches on residential streets. The top rack might have vehicles twelve or thirteen feet above ground level, and the auto transporter is rightly concerned about scratching the roofs of not only your vehicle, but others as well. It doesn’t matter that you might say there are no such low hanging branches in your neighborhood. He can’t know that in advance and might be wasting his time even trying. He must assume there are low hanging branches and avoid going into your neighborhood streets, and of course, directly to your door. We beg your understanding. Yes we know you did. Direct Express Auto Transport is careful to categorize our door to door transport services as in the “spirit of door to door car shipping”. At first glance that might seem like parsing, but it’s not. There is a significant reason why that is true. There are many auto transporters who use terminals sometimes 20-50 miles away (or more) from customers. Round trip that can mean 40-100 miles (or more), and that is a huge inconvenience! We strive to save our customers from that hassle. When you consider the alternative, meeting a car carrier a couple miles from your home is not so bad. Indeed, it is in the spirit of door to door car transport. What Normally Happens In Door To Door Auto Transport? After Direct Express Auto Transport assigns your vehicle to a carrier, we instruct the driver to pickup and deliver as close as possible to both your addresses. The carrier will first locate your address on Google Maps or something similar. He will search for a large area nearby that he can safely park his car transport truck to unload your vehicle. Typical meeting places are grocery store parking lots, malls, places like Home Depot and Target, extra wide roads or rest areas. You get the idea. Then he calls your origination contact and they agree on a nearby location to meet. Most people understand why the car transporter is selecting some place other than the actual address. Because it is not practical. The parties agree to a time and things usually go smoothly. The whole scenario repeats at the destination. Most people bring someone with them to meet the car carrier driver. So that makes things easy. But what if your contact doesn’t have anyone to drive them to the meeting place? Most people use a Taxi, Uber or Lyft service. The cost is usually nominal, around $10-$15. We recommend waiting until the carrier has confirmed that he has reached the meeting spot before actually embarking. That’s because drivers are often running behind schedule. Being hours late is not uncommon. While the driver is unloading your vehicle at the meeting spot, you can be on your way. He will likely be patient. By the way, a tip for that hard working man or woman is greatly appreciated. He is no different than the waiter you tipped last Saturday. What If You Have Few Other Options? Sometimes a customer absolutely has no other choice, so a carrier might off-load and drive the vehicle to the actual address. But then he will need a ride back to his transport rig. We advise female customers not to do that. We err on the side of caution. We think it is also prudent for female customers to never meet alone. Or if they do, make sure it is in a well lit, very public setting. We have had over 200,000 car shipments and have never heard of a female customer of ours being accosted. But let’s just stay street smart anyway and reduce the possibility. Sometimes there are no easy alternatives. Your Grandma might be 90 years old, does not drive, has nobody to help, and there are no taxis in her area. Guess what? We love Grandma, but she should not be your contact. Please find somebody else. A neighbor. A friend. A brother-in-law. How about the mechanic you’ve given so much business over so many years? Pay him $50 to help you out and receive your vehicle. And if you think about it, Grandma would probably appreciate your doing that too. The beauty of door to door car transport, at least the way we do it, is that you don’t pay for the actual vehicle transportation until the service has been performed. Please pay the driver upon delivery with a Money Order or Cash. Get a receipt for the latter. And don’t forget to go over the vehicle condition report at both ends. 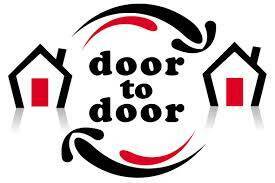 We try to make door to door auto transport as easy as possible. Our five star reviews on Facebook, Google+ and TrustPilot say we do just that!